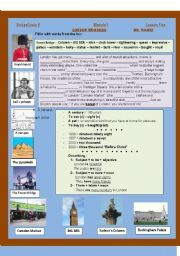 A ready to use worksheet that summarises both the lexis related to London sightseeing and the possible ways of describing. Hope it´ll be useful! 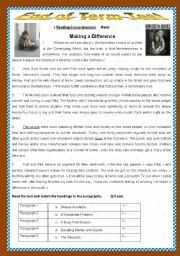 A good reading passage about the homeless followed by a set of comprehension questions. 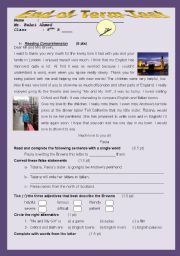 The second part consists of language tasks while the third part is writing an advertisement for a new charity club. Hope you like it! An end of term 1 test for 8th graders Tunisian prep schools. Hope you like it! Have a nice mid-term holiday! A good reading passage followed by a variety of comprehension questions and a few grammar and voabulary tasks.At the end of the test Ss are asked to complete a leaflet about the environment. Hope you like it! A good reading passage dealing with the topic of voluntary work and charity in general. Hope you find it useful! 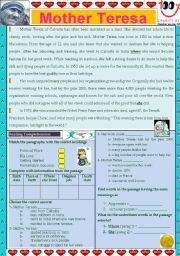 Reading comprehension about giving gifts a set of language exercises and two writing tasks the first is to describe pictures and the second is writing a paragraph about spare time activities. Hope you like it! A reading passage about bullying followed by comprehension questions. 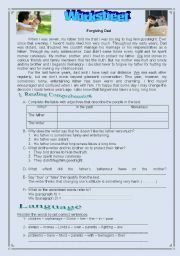 A writing task to get the reader´s opinion about the topic. Hope you like it! Happy EID! 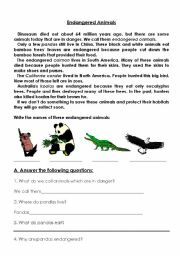 A reading comprehension passage suitable for introducing the topic of endangered animals and how to deal with it. 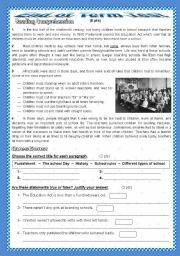 A good reading passage about family relationships followed by a set of comprehension questions. 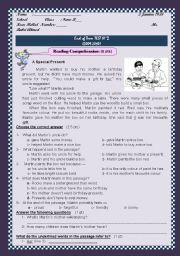 The second part consists of a variety of grammar and vocabulary exercises. Hope you like it! 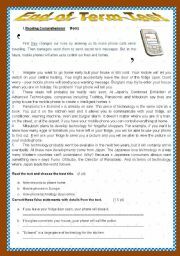 An end of term test that tackles some of the skills acquired during the first term. Hope you like it! Best wishes for the new Hijri year!